The British Columbia government is supporting local organic farmers to grow sustainable and healthy food options for people at a new research farm and seed lab at Kwantlen Polytechnic University (KPU) in Richmond. To help support this initiative, the Province has invested $670,000 through the B.C. Knowledge Development Fund (BCKDF), which funds world-class research and innovation throughout British Columbia. Projects funded by the BCKDF have the potential to grow B.C.’s economy and improve the lives of all British Columbians by spurring new technologies and innovation. Funding has helped support the purchase of seed-testing equipment for a newly renovated seed lab, as well as farm infrastructure including irrigation systems, high tunnels, a greenhouse and post-harvest processing facilities. The provincial funds are being matched by the federal government’s Canada Foundation for Innovation. An additional $335,000 has been contributed by partners in the organic seed industry and through funding raised by KPU. The 8.1-hectare (20-acre) research farm, located on the Garden City Lands in Richmond, will be certified organic and will give growers, researchers and students the ability to observe new technologies being tested and participate in workshops highlighting research results. 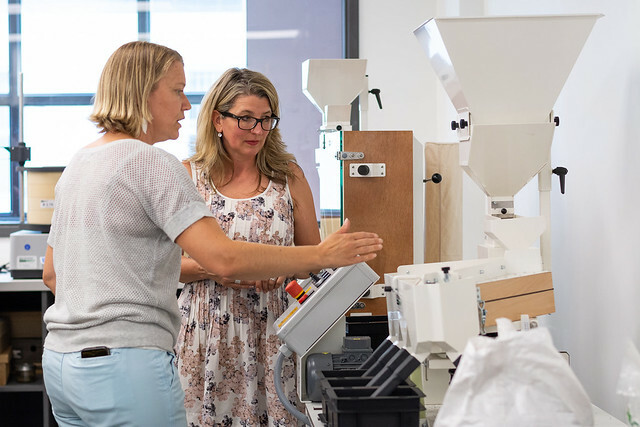 The seed lab will allow seed growers to carry out quality control on their seed and use the data to inform better growing practices. Research outcomes will advance organic production practices, develop better crops, produce high-quality seed for B.C. growers, and expand the number of workers trained in organic seed and crop production systems.